Loreal Color Riche Lipsticks comes in a gorgeous gold packaging with Loreal Paris embossed on the tube. The cap of the tube fits in tightly and thus makes it quite travel friendly in my opinion. The bottom of the tube mentions the shade name and the shade number which comes in handy while storing especially if you have quite a lot of lipsticks. 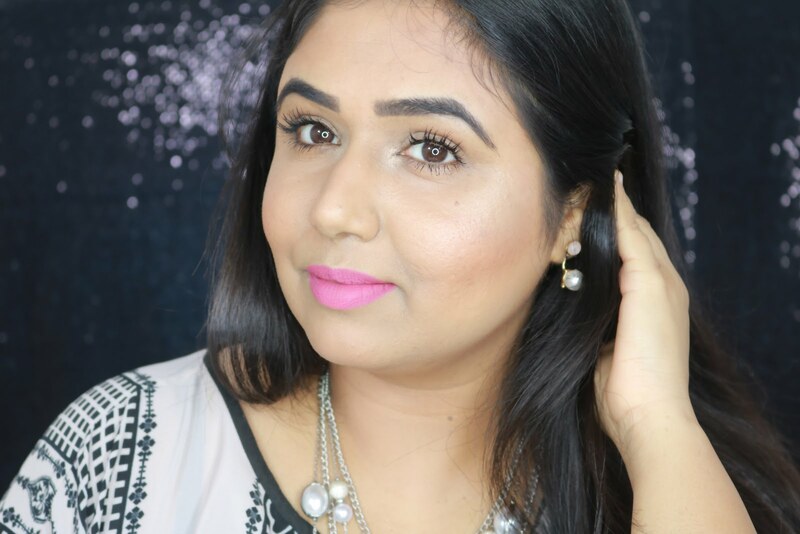 The shade Beige Creme is the perfect MLBB pink shade, its brownish pink but comes out more pink on my lips. The shade will suit all skin tones beautifully especially medium skin tones. The texture of the lipstick is creamy and it glides on the lips effortlessly. The pigmentation is simply amazing! One swipe is enough to give opaque color on the lips. It does not feel drying on the lips nor does it dry out the lips further. I don't have to apply a lip balm before applying this lipstick. It feels extremely light weight on lips. It does not settle into fine lines nor does it bleed. It settles into a semi matte finish and gives very natural and polished look which I love for daily office wear. Staying power of this lipstick is pretty amazing and it came as a pleasant surprise since most of the creamy lipsticks don't stay on for a very long time but this one stays on my lips for 5 to 6 hours with a full meal in between! Another thing that I love about this lipstick is that once it sets it does not transfer much! I keep a water bottle on my desk at office and often the mouth of the bottle gets stained due to the lipstick I am wearing but I have noticed when I wear this one it does not transfer much on the bottle which really is a huge plus! The only issue I have with this lipstick is the irritating sweet smell! I absolutely hate sweet fragrances and this one has that really strong sweet smell which gives me a headache! Though the smell disappears after few minutes of application still I wish they would remove the fragrance altogether! Thanks Bee..you should give it a try! aaww thank you sweetie..you'll rock this one!